The Chinese spacecraft "Chang'e 4" made an exceptional achievement by landing on the dark side of the moon earlier this year. 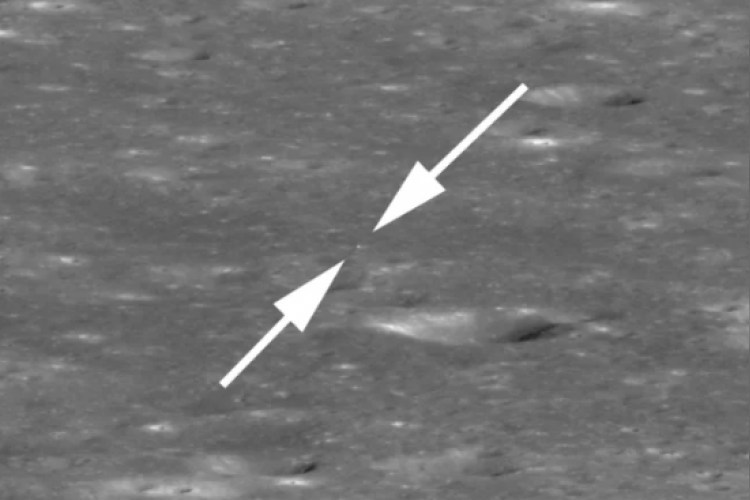 NASA's spacecraft "Lunar Reconnaissance Orbiter" landed on Moon's Von Karman four weeks later to the Chinese spacecraft. According to NASA, the crater is 12,800 feet wide across & 1970 feet deep. NASA's spacecraft spotted the Chinese spacecraft more than 200 miles away from the landing site & clicked a picture.